Lawmakers were in and out this week, addressing Florence relief while avoiding the usual partisan bickering or the occasional surprise. Becki Gray and Rob Schofield discuss this week's one-day special session, as well as a federal investigation into North Carolina's largest political donor, and a legislative committee taking aim at the treatment of college athletes. There were multiple Congressional hearing that dealt with alleged sexual harassment on Thursday. In addition to the Senate Judiciary Committee meeting, there was also testimony on the House side, where a former North Carolina congressman stands accused of improper behavior. Rob Schofield and Becki Gray discuss the hearings as well as one mid-term race that is now being labeled a 'toss-up'. Hurricane Florence is one of the most devastating weather systems to strike North Carolina. The storm's impacts will be felt for a long time, and the recovery efforts are likely to last years. Along with damaging communities, infrastructure, and farms, the storm will have an influence on politics as well. This week in North Carolina politics, a federal prosecutor made a rather large records request, only to do an about face a day later. And voters also know now which referendum questions will appear on the November ballot. Uncertainty and chaos continues to cloud North Carolina's upcoming election. On Monday federal judged re-affirmed the state's U.S. House seats are illegal partisan gerrymanders, and left the door open to a possible special election. It has been a busy week in the world of politics with Trump's guilty allies, confederate monuments and a hasty special legislative session making the news. Becki Gray, of the John Locke Foundation, and Rob Schofield, of NC Policy Watch, discuss the latest in the world of politics with WUNC Capitol Bureau Chief Jeff Tiberii. The latest legal fight between the Governor and state lawmakers played out in a state court this week. At issue is whether proposals that would change the balance of powers in state government should remain on the ballot this fall. Becki Gray, of the John Locke Foundation, and Rob Schofield, of NC Policy Watch, discuss the proposed constitutional amendments, as well as one open U.S. House race, and how the press should respond to frequent attacks from President Trump. Lawmakers have retreated to their home districts following a frenetic short session. Becki Gray, of the John Locke Foundation, and Rob Schofield, with NC Policy Watch, join WUNC Capitol Bureau Chief Jeff Tiberii and discuss the budget, proposed constitutional amendments, as well as what legislators did not address. Editor's Note: This Week In NC Politics will take a break for the rest of July and will be back in early August. The Republican-controlled General Assembly wrapped up its short session Friday, passing an adjusted budget in time for the start of the fiscal year, above the objections of Democrats and Governor Roy Cooper’s veto. The legislature’s Republican majority pushed forward several proposed constitutional amendments they hope will boost voter turnout in their favor this fall. Among the potential ballot measures, a photo ID requirement for North Carolina voters, the preservation of fishing and hunting as a way of life and a cap on personal income tax. It's been a dizzying few days at the North Carolina General Assembly this week. Legislators have had multiple late nights of deliberations as they work to end the short session by the end of the month. Becki Gray, of the John Locke Foundation, and Rob Schofield, with NC Policy Watch, join WUNC Capitol Bureau Chief Jeff Tiberii and discuss the debate around changing the state's early voting period, individual property rights, and budget tweaks that breezed through the chambers this week. Governor Roy Cooper vetoed a Republican-approved state spending plan this week, citing more could be done for public education. 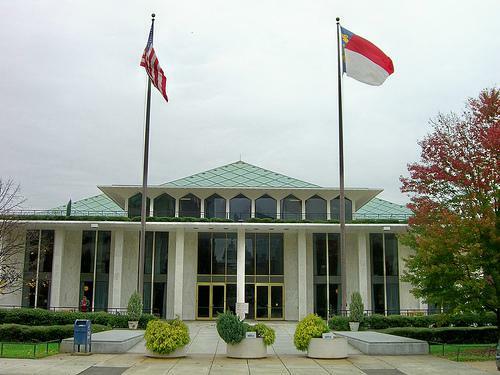 Becki Gray, of the John Locke Foundation, and Rob Schofield, with NC Policy Watch, discuss the anticipated executive veto of the budget, as well as one farm measure that has divided some Republicans. 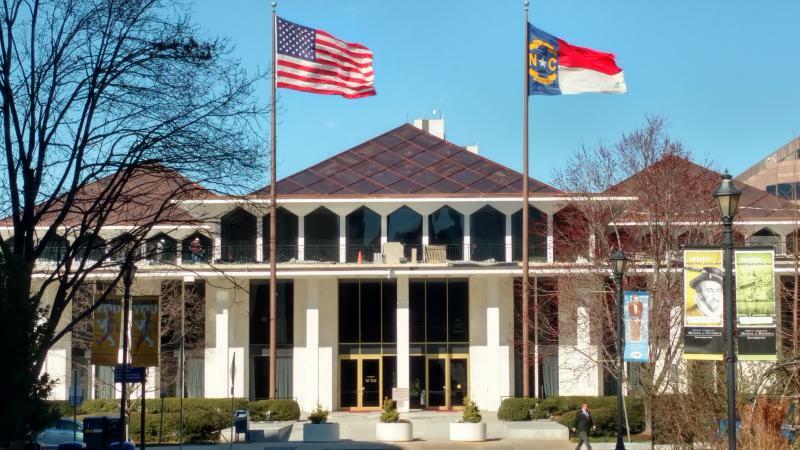 Also this week at the North Carolina General Assembly, legislators introduced a proposal to change the state constitution and require photo identification in order to vote in-person. On this week's episode of the WUNCPolitics podcast, host Rusty Jacobs has an extended conversation about the aftermath of the Teacher Rally, possible incentives for Apple, and the coming budget discussions in the General Assembly. This week in North Carolina politics, a conversation about the divide in North Carolina over confederate monuments and the upcoming primary. WUNC’s reporter Rusty Jacobs discusses these topics with our regular guests: Becki Gray, senior vice president of the conservative John Locke Foundation; and Rob Schofield, executive director of the progressive N.C. Policy Watch. On this week’s review of the week in North Carolina politics: high school students and legislators are on different tracks when it comes to school safety; California billionaire Tom Steyer announces he’ll put $1 million into efforts to flip North Carolina’s 9th District; and Lieutenant Governor Dan Forest says conservatives have faith in God, while liberals answer to no higher power than politics. 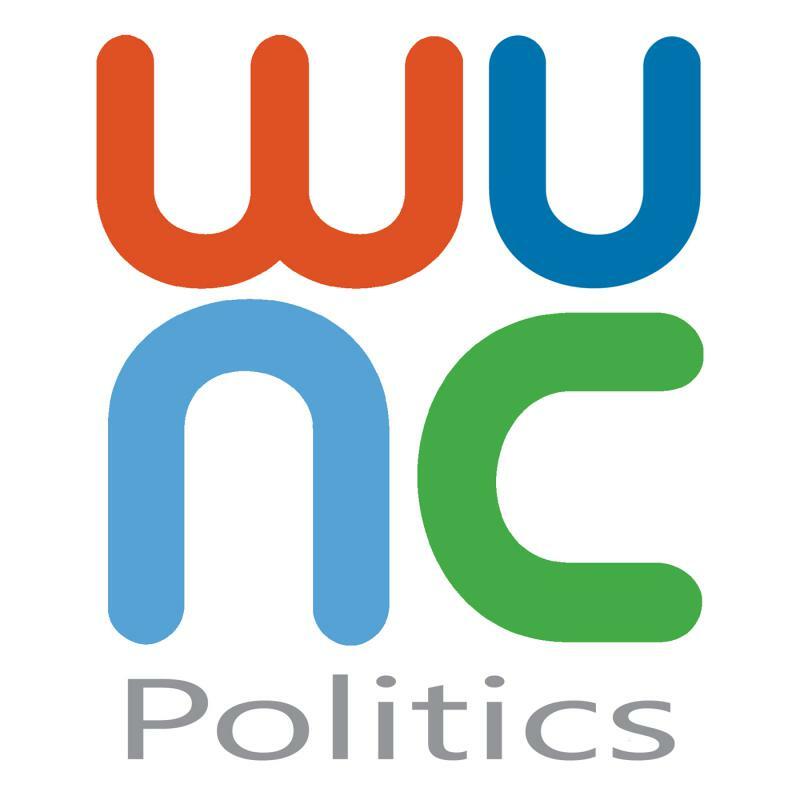 Rob Schofield, of NC Policy Watch, and Becki Gray, of the John Locke Foundation, discuss those topics and more with WUNC Political Reporter Rusty Jacobs. On this week's review of North Carolina politics, a much-criticized Legislative committee tasked with studying the pros and cons of breaking up large school districts adjourned without making any policy recommendations. Also, the most recent revenue projections forecast a state surplus of more than $200 million. When legislators reconvene next month, what are the top two things they should do with that money? China issued the latest shot in a looming trade war this week, announcing it would increase tariffs on pork products. That decision could have an impact on farmers in eastern North Carolina counties. In an unrelated swine development, a series of nuisance lawsuits were back in federal court. It was a relatively mundane week in North Carolina Politics - with good news for the Green Party, an ongoing messaging battle over the Atlantic Coast Pipeline, and some new details in the Cambridge Analytica saga. Becki Gray, of the John Locke Foundation, and Rob Schofield, with NC Policy Watch, discuss some of this week's stories with WUNC Capitol Bureau Chief Jeff Tiberii. For the first time since 2016, North Carolina has a state board of elections. The nine-member panel was seated on Wednesday. Also this week, questions emerged about money that the 2014 Thom Tillis U.S. Senate campaign spent on Cambridge Analytica. And, a proposals for new gun regulations was rolled out by Democrats, who called the issue non-partisan. This week in North Carolina politics, Governor Roy Cooper called on reforms to gun laws. However, it remains unclear what legislators have an appetite for. Meanwhile, the state board of elections and ethics will soon be seated, despite a lawsuit challenging its very structure. And, a special congressional election in Pennsylvania could serve as an cautionary result for Republicans here. Becki Gray of the conservative John Locke Foundation and Rob Schofield of the liberal N.C. Policy Watch join WUNC Capitol Bureau Chief Jeff Tiberii for a conversation about the week's news. Democratic state lawmaker Duane Hall (D-Wake) has no plans to step down from his elected post, despite calls from some powerful members of his party. Hall has been accused of sexual misconduct by multiple women, but disputes the allegations and the story, which was published by NC Policy Watch. The filing period for legislative and congressional candidates concluded this week and every race will be contested in 2018. With candidates filing to run for state legislative seats, another lawsuit was filed this week, challenging a few of the political boundaries. Rob Schofield, of NC Policy Watch, and Becki Gray, of the John Locke Foundation, join WUNC Capitol Bureau Chief Jeff Tiberii to discuss this latest redistricting challenge, as well as what firearm, or school safety policy changes, may be feasible in the wake of a school shooting in Florida that left 17 people dead. They also discuss the influence of famed Evangelist Billy Graham, who died this week at the age of 99. WUNC Capitol Bureau Chief Jeff Tiberii talks about the week's news with Rob Schofield, of NC Policy Watch, and Becki Gray, of the John Locke Foundation. State legislators have departed for an extended break, but unsurprisingly, the partisan spats are not quieting down. This week in North Carolina politics saw disputes over the constitutionality and possible ethical issue stemming from a $57.8 million mitigation fund related to the Atlantic Coast Pipeline. The Atlantic Coast Pipeline, a class size bill, and North Carolina’s redistricting saga are among the issues in the news this week in state politics. Also, how open is North Carolina state’s government and how accessible is it for journalists and the public to access what happens at the General Assembly? Significant court rulings, the latest round of campaign finance reports and policies that might help combat the opioid epidemic were among the political topics that received attention this week. Rob Schofield, of NC Policy Watch, and Becki Gray, of the John Locke Foundation, join WUNC Capitol Bureau Chief Jeff Tiberii about these and other topics in the week's political news. Judicial musings and off-shore drilling were among the array of North Carolina political topics that received attention this week. Mitch Kokai, of the John Locke Foundation, and Rob Schofield, of NC Policy Watch, review that recent news, and also weigh-in on a piece by the Wall Street Journal exploring an economic divide in the state. Not discussed on this week’s forum – but mentioned – is a piece from the New York Times, noting the wariness of southern lawmakers to pursue divisive social policy, at least for now. WUNC Capitol Bureau Chief Jeff Tiberii talks with Mitch Kokai, of the John Locke Foundation, and Rob Schofield, of NC Policy Watch, about the week's political news. Thanks to winter weather, it was a slow work week for many in North Carolina. However, the political world trudged along with more redistricting and judicial developments. On this week's review of North Carolina politics, a review of the year in North Carolina politics. There were bitter partisan squabbles between the legislature and Governor Roy Cooper; economic developments; and a conclusion (sort of) to House Bill 2.